Available for fishing from 8am - dusk. Partners, Willie and Martin would like to invite you to visit their delightful six acre fly fishery, where you can fish in peaceful seclusion, only 4 miles from Ayr. 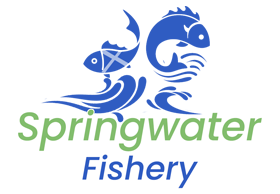 Springwater Fishery is a complex of three freshwater lochs set amongst delightful Ayrshire farmland, in a peaceful location, only 4 miles from Ayr. 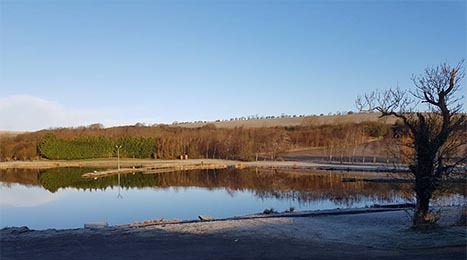 Our 3 acre corase loch is well stocked with Rudd, Crucian, Common, Mirror F1 and Ghost Carp as well as Perch to 2lbs Roach, Trench, Golden Tench, Skimmers, Hybrids and Chub. 6 acres in size including three islands, all of which are accessible by bridges. The trout fishery is stocked with fish ranging in weight from 2lbs upto 15lb consisting of rainbow, steelhead, blues and brown trout. There is also a 1.5 acre Bait Loch which contains fish from 1lb upwards. As well as all the usual legal bait methods, spinning is also allowed in the loch. This is a great place for beginners and keen anglers to improve their skills.